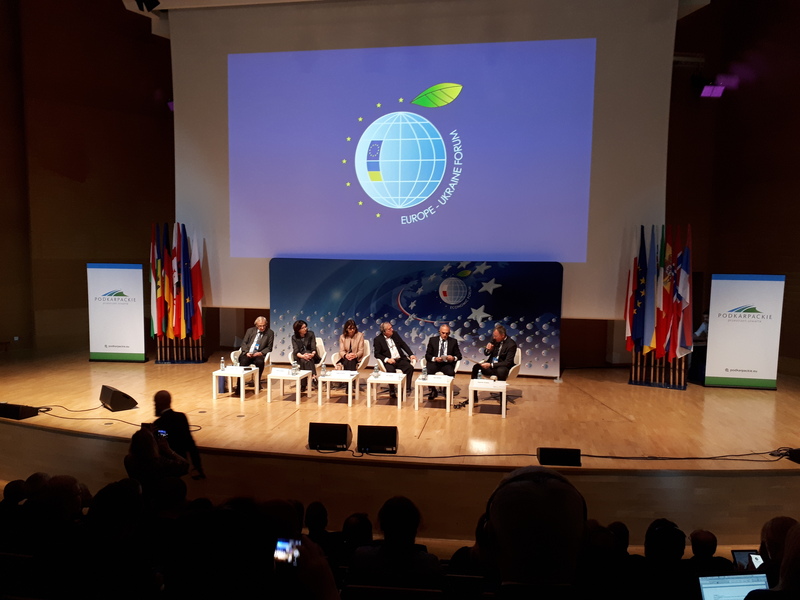 On 24th-25th January, the representatives of the Programme took an active part in the 12th Europe-Ukraine Forum in Jasionka near Rzeszów. The Forum, which has been organized since 2007, is one of the largest European events intensifying the dialogue between Europe and Ukraine. Tomasz Jędrzejewski, Deputy Head of the JTS of the Programme, was the moderator of the discussion panel titled "Cooperation in the Central and Eastern Europe – the Role of Regions in the Building of Mutual Relations". During the panel, participants were emphasizing that joint and coordinated actions are especially important for the border regions and their involvement in cross-border projects significantly influence the development of these areas, and also increase the attractiveness of investments. - We have achieved this success - in terms of implementing the Programme – with a view to the future, because today, in 2019 or 2020, we will present concrete arguments in dicussions with the European Commission on the new financial perspective. We will be able to inform our partners from Brussels that from year to year, from perspective to perspective, we have better and better quality projects. The organizers of the Forum also invited the head of the Polish Branch Office of the Programme, Alicja Wosik-Majewska, to participate in the panel discussion entitled "Cultural Heritage as a Developing Factor for the Borderland Areas". The Programme also hosted participants of the Forum in its "meeting zone" - the stand organized as a part of the 3rd Eastern Fair accompanying the Forum. Dozens of guests visited the "Program meetings zone". Participants of the Forum could talk about current and future challenges facing the Programme. Altogether around 120 exhibitors presented themselves at the fair: local governments, institutions and enterprises from Central and Eastern Europe. The main topic of the 12th Europe-Ukraine Forum was the continuation of the reform and modernization of Ukraine in the situation of possible changes at the top of political power in Kyiv as a result of the presidential and parliamentary elections scheduled for 2019.